Allergies and carpet cleaning services in Lynnwood, Wa. Allergies And Carpet Cleaning Service in Lynnwood, Wa. Are you finding it difficult to battle with allergies from your carpet? Dirt and dust can cause several allergies on your carpet. If your carpet is always dirty, there is every possibility to struggle with allergies. Are you bothered with the nagging allergies that have been coming from your carpet? Don't worry, be happy because our allergies and carpet cleaning service in Lynwood, Wa. Is here to help. We know how you feel when your carpet is affected by dust,dirt, and dust mites. For this reason, we have put in place our allergies and carpet cleaning service to help you. You will never have to bother on the status of your carpet again. Our experts have the right solution to offering your carpet top-notch cleaning that glows with pride. We have qualified professionals who know the secret to keeping your carpet in good and healthy cleaning conditions. Provided you are ready to use our carpet cleaning service today, allergies will be a thing of the past. We have the best carpet cleaning strategies to keep customers satisfied. Starting from the materials used in carpet cleaning service, All Star Carpet Cleaning remains the best to call on. We will take your carpet through all the cleaning processes to keep it allergy free.Our allergies and carpet cleaning services in Lynnwood, Wa. expertise is enough to bring you comfort. 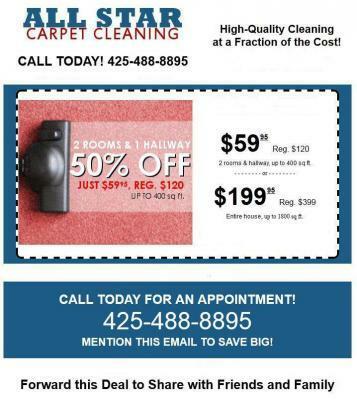 We are known for offering clients quality carpet cleaning service at an affordable price. Your health conditions will remain secured after using All Star Carpet Cleaning services. We pride ouselfs on the valued service rendered to customers. Without deliberating much on our carpet cleaning processes, you are sure to be satisfied, time and time again. Our allergies and carpet cleaning service remains the best to rely on. We will always strive to give customers the best and nothing less. You can always give us a call now for more details.